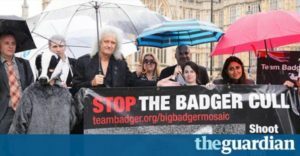 From The Independent: A fierce landmark court battle over the badger cull begins tomorrow as wildlife campaigners mount a challenge to the reasoning behind the killing of tens of thousands of the mammals. 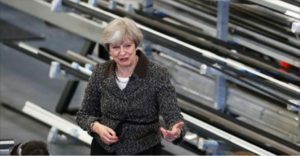 From Metro: Plans to give police dogs and horses extra legal protections from attacks have been blocked by a Tory MP. 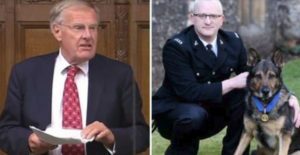 There were groans in the Commons as Sir Christopher Chope dealt a blow to campaigners by announcing he objected to the Animal Welfare Service Animals Bill. 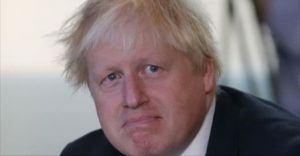 From Daily Mirror: Boris Johnson‘s bid to boost Anglo-Spanish relations backfired spectacularly when he launched into a bizarre defence of bullfighting, telling a dinner to celebrate ties between the nations that trying to ban the ­cruel sport was “political ­correctness gone mad”. 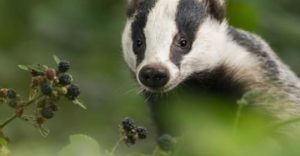 From Daily Mirror: The government has revealed that badger culling will take place in 11 new areas, taking the total kill zones to 21 in Devon, Cornwall, Wiltshire, Somerset, Cheshire, Dorset, Herefordshire and Gloucestershire. The maximum number of animals lined up in the marksmen’s cross hairs this season is 33,437 compared with 14,213 last year. 84% of the public believe foxhunting should not be made legal again. Scientific evidence shows that the animals targeted in hunting suffer physical and mental stress when chased by a hunt – whether or not they are eventually killed. From The Independent: Theresa May has announced she hopes to bring back fox hunting. 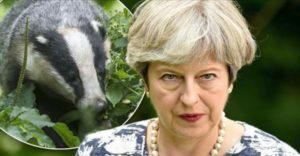 From The Guardian: The imminent expansion of England’s controversial badger cull “flies in the face of scientific evidence”, according to the nation’s foremost experts, who have called on new prime minister, Theresa May, to halt the “failed” policy.